On line market places are becoming more and more popular, such as, web development, search engine optimization , video and audio editing, translation, writing services, further, many websites provide a place where clients and service providers can interact and deal on a service or product on some price on their websites, these forums are called freelance and service provider are called freelancers, moreover, many websites provide place to interact freelancer and clients, here, in this post, I will list some of them which are very popular. 1-fiverr.com- Started in 2010, a popular market place especially for digital marketing, writing and translation, programming and tech, video and animation, graphic and design, business and the minimum price is for per job completion is $5. 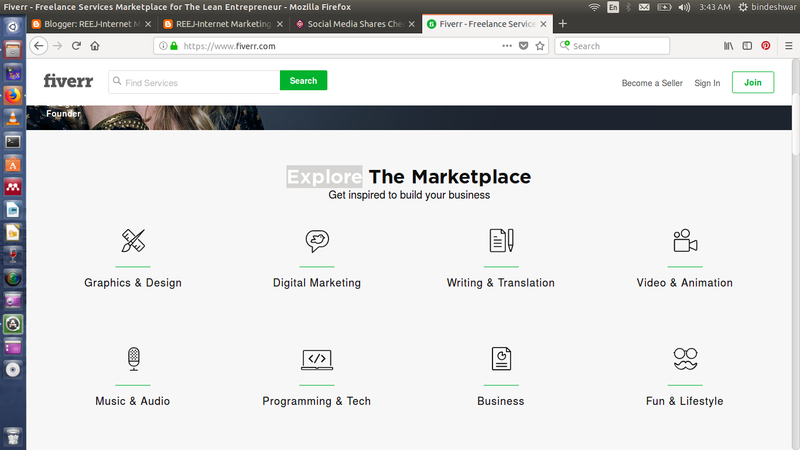 2-upwork.com- Founded in 1999 and formerly Elance is also very good on line market place for free lancers, further, the jobs are mainly software products and service oriented, writing skills oriented. In addition, the base price is not fixed and free lancer is free to choose per job completion rate between $3 to $999. 3-freelancer.com Founded in 2009,this is the very popular has many versions, such as, European Union version, German version and many more. Further, the project acquiring process is based on bids those who wins the bid game who gets projects. 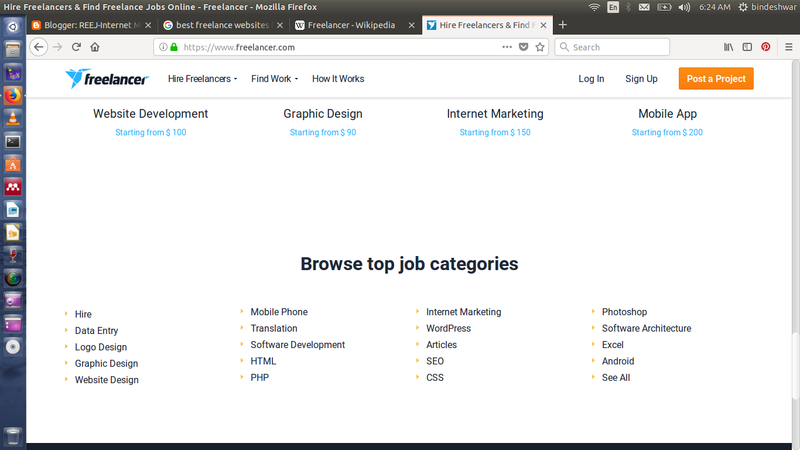 Moreover, freelance is popular for software jobs, such as, Internet marketing, web design, app design and software related jobs. 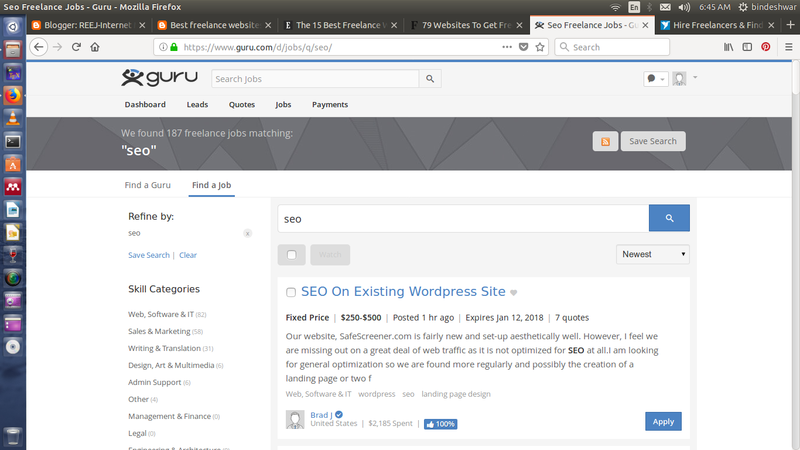 4-guru.com Very good platform for freelance, apart from web design and software development it also offers jobs in engineering, management and finance, sales and marketing, admin support jobs, the job completion payments are based on many methods, for instance, fixed price, recurring payments, by bidding or by tasks. 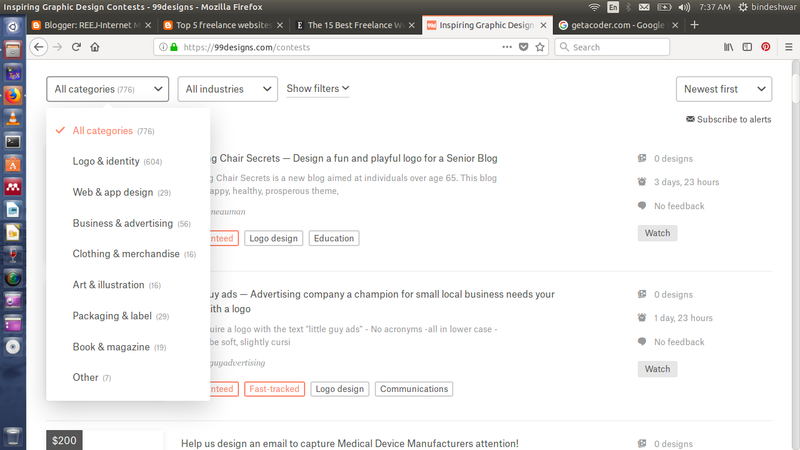 5-99designs.com- This free lance website focuses on designs related tasks, such as logo design, web design, business advertising, clothing and merchandise, art and illusion, packaging and label. Further, the payment is based on competition the buyer fixes the price of task and any body can complete the task, those whose work buyer likes designer gets paid. This was the list of five popular free lance websites' list, hope it will help you to get job. What type of job do you like to work?